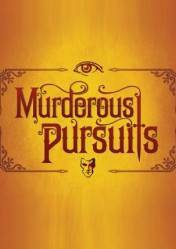 Murderous Pursuits is a game in which you play a cunning thief in multiplayer games designed for up to 12 players. We will have to stalk our target patiently and at the right time throw ourselves at it to steal all kinds of goods, but be careful, if we do it to a player the consequences could be fatal. Act like a modest passenger to avoid revealing your intentions to other players or to be identified as a player. Search for all kinds of weapons to carry out your mission and become a professional assassin and robber. The goal in each game is to score as many points as possible. We will receive an increase in points by searching for weapons of higher value and keeping their exposure low to avoid being identified. We will also receive points for using our character's typical skills, such as the art of disguise and counter-attack, to overcome your opponents and carry out your diabolical plan. There are no comments yet about Murderous Pursuits. You can be the first one!